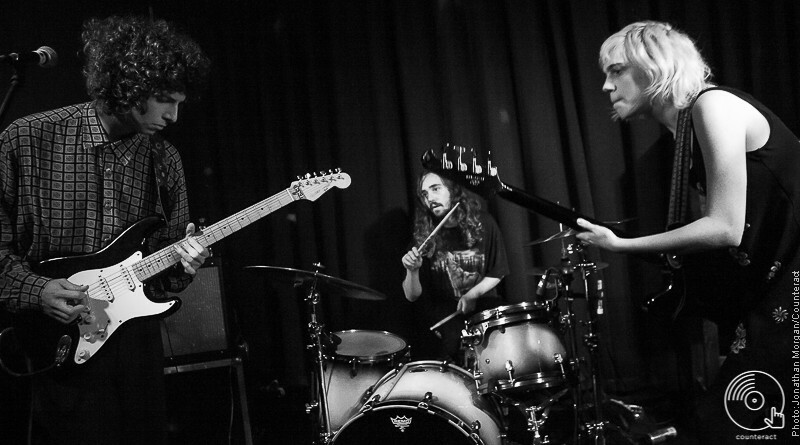 New York native dreamers Sunflower Bean are already making headway on their UK tour, ending it at Birmingham’s The Castle and Falcon on Saturday, December 1st. With the release of newest record Twentytwo in Blue, The New York trio infuse 60s psychedelia, country Fleetwood Mac-esque bass lines and themes of young love and coming of age. Its a match that intrinsically harmonises with young music lovers and makes Sunflower Bean‘s leading singles ‘I Was A Fool’ ‘TwentyTwo’ and ‘Memoria’ almost millennial anthems. Now, they’re back with an upcoming EP King of the Dudes, due to be released in January, alongside the new firecracker of a single ‘Come For Me’, an unashamed and promising return for this trio of rockers in the same vein as ‘Crisis Fest’ belonging to TwentyTwo In Blue. Sunflower Bean’s last trip to Birmingham was in support of Mercury Prize winners Wolf Alice; a shimmering and summery performance that blended with Wolf Alice’s folk grunge ballads perfectly. Sunflower Bean have come full circle with their upcoming headline tour, but with even more ferocity from their upcoming EP.